A teenage driver is facing a slew of charges after a drunk driving car accident that happened over the weekend. The accident was the result of a police chase and two prior accidents in Beverly. According to ABC5, the first collision happened just before 2:00 a.m. near Cabot Street. After slamming into that car, reports indicate, the young driver got out of his vehicle and confronted the occupants of the other vehicle with a baseball bat. When officers finally arrived on scene, the teen driver had already left. They were able to catch up with him a little later on Dodge Street where he had already rammed his car into a telephone pole and then into a house. The collisions caused a small fire. Occupants of the home were sleeping when the vehicle struck. “I heard a big bang, I thought the transformer blew but it didn’t blow, he just came flying in,” said one of the home’s residents. Our Boston personal injury attorneys have been talking lately about the risks that teenagers have for accidents on our roadways during this time of the year. We’re talking about their risks for accidents associated with the prom, the gradation and the summer season. Luckily, there were no injuries reported in the Beverly accidents. The teen driver did try to flee the scene after slamming into the home, but was busted by local officers. Reports state that he tried to jump some neighborhood fences to escape, but was so drunk that he was unable to do so. The young and intoxicated driver is now facing charges including leaving the scene of an accident, speeding, resisting arrest, driving under the influence. As we recently reported, teen drivers may not be old enough to legally purchase alcohol or to even drink it, but that doesn’t mean that they can’t get their hands on it and that they won’t consume it. As a matter of fact, teens face a higher risk for alcohol-related accidents that any other age group of drivers, according to the National Highway Traffic Safety Administration (NHTSA). About a third of all drivers between the ages of 15- and 20-years-old who were killed in car accidents in 2006 were under the influence of alcohol when the collision happened. Parents are asked to step in and speak up about the risks our teens are facing during this time of the year on our roadways. Make sure you know who your teen is traveling with, where they’re going and when they’ll be home. Staying in the know will help to keep your teen safe and help to cut off any opportunities for them to get their hands on any alcohol. 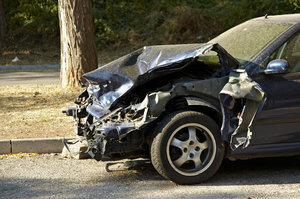 The Law Offices of Jeffrey S. Glassman, LLC is here to offer assistance to victims and the family of victims who have been injured or killed in a drunk-driving car accident in Boston or elsewhere throughout Massachusetts. If you or the teen driver in your life has been involved in an alcohol-related car crash, call 1-888-367-2900 to schedule a free appointment to discuss your case.